Are you marketing on YouTube? Could you use some new ideas to improve your YouTube results? Are you marketing on YouTube? Could you use some new ideas to improve your YouTube results? Perhaps you should reconsider your YouTube approach. 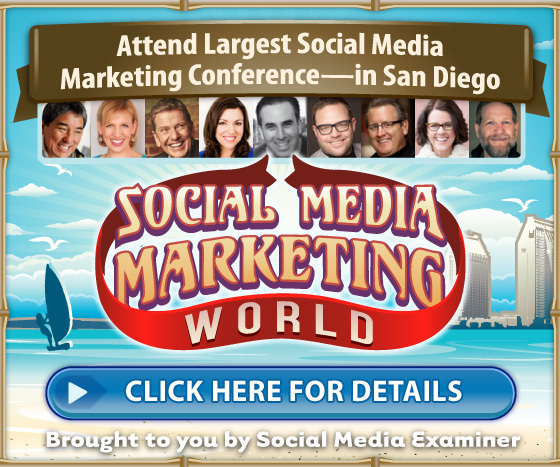 In this article you’ll discover four tips to make your YouTube marketing more effective. 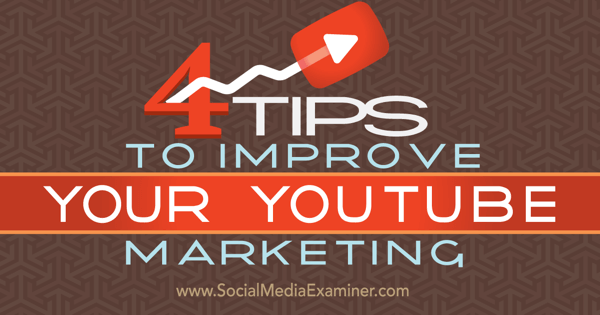 Discover four tips marketers can use to improve their YouTube marketing. People aren’t going to click on your video to see a boring infomercial. They may be willing to tolerate a dry tutorial if it offers unique advice that they won’t find elsewhere. The most successful YouTube videos, though, tell an original and interesting story. This ad from Android is a good example. It may be easier to come up with great content ideas if you don’t limit yourself to videos that relate directly to your product or business. This is particularly important if you’re in an industry that’s hard to get people excited about (such as asphalt contracting). Consider this video of a young girl dancing, which was used to promote the Samsung Galaxy 580 phone. The video is seemingly unrelated to the product, yet still reflects positively on the company. The video conveys the excitement that Samsung wants its customers to feel about it’s phone. It helps set the mood for people to take the next step, which is to visit the URL at the end to learn more about the product. Your goal is to keep viewers engaged long enough to soften them up for your call to action. For this reason, it’s important to choose keywords that are relevant to people who are looking for new information and to provide video content that educates based on those keywords. 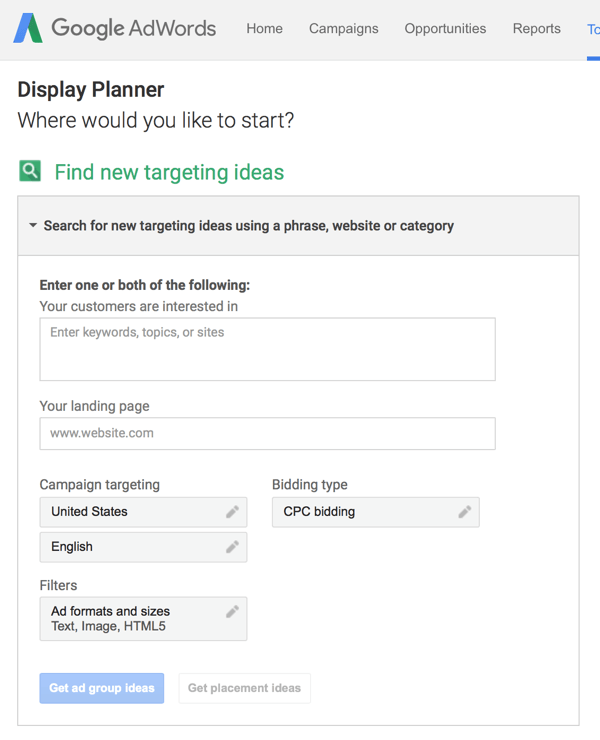 You can use the AdWords Display Planner tool to research keywords for your video descriptions and ad targeting. Identify keywords that are targeted to your core buying group, rather than keywords that are simply relevant to your audience. During the initial keyword testing phase, you want to collect data on the performance of keywords in your ads in a cost-effective way. Some of the keywords you’re bidding on may generate more volume than you expect, especially if you’re bidding competitively. Start with a small budget so you don’t spend too much on a single keyword target. So how do you warm up and qualify a prospect? Focus on providing video that engages and educates people, but leaves them hanging a little. Use the video to convince them that they need to visit your website to get the information they require. 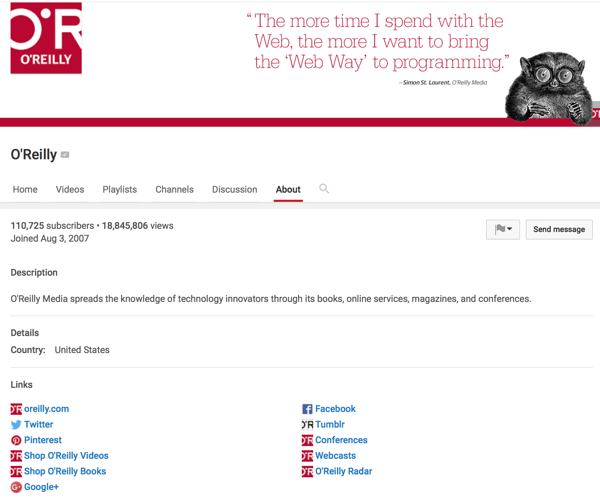 Make sure you include links to your website and your other social profiles on your YouTube channel page. Trial and error play a key role in YouTube advertising, so take some time to brainstorm different variables to test in your campaigns. Try the tactics above to improve your YouTube marketing campaigns and increase brand recognition among your target audience. What do you think? Will any of these tips work for your business? Do you have other tips or tactics that have worked well for you? Please share your thoughts and experiences in the comments below.